Creamcups are members of the Poppy Family. 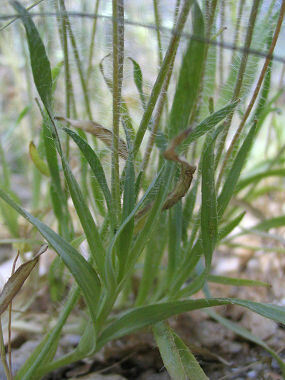 The plant grows to 1 foot in height and has green, lance shaped leaves with unusually long hairs that grow around the base of the plant to 3.5 inches in length. The plant typically grows in open, grassy areas with loose or disturbed soil or in areas that have burned at elevations below 5000 feet. The Creamcups at right were photographed in the Santa Catalina Mountains. 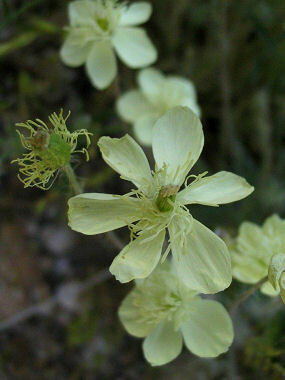 Creamcups bloom between March - May and produce cream-colored to yellowish flowers that grow to 0.75 inches in width.